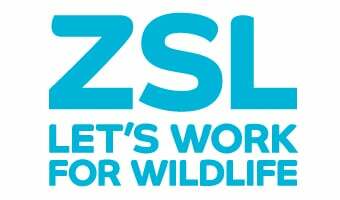 The Zoological Society of London offer ‘work experience’ placements for veterinary nurses at ZSL London Zoo. These placements are designed to give RCVS listed and registered (qualified and trainee) veterinary nurses an insight into all aspects of the work nurses perform within the zoo environment. Unlike most small animal Veterinary practices the clinical work is mostly dictated by the collection animals and work load can be highly variable so applicants should be prepared for this. There are many routine procedures that can occupy our time such as health checks on new arrival animals in quarantine, or checks on export animals, to follow up checks on animals on long term medications such as NSAID’s and sexing and micro-chipping of new juveniles for collection management. Naturally we do get clinically quieter periods where paperwork and general housekeeping can be caught up on. This is all necessary for the day to day running of the department and it is a positive thing as it generally means our animals are healthy! So whilst zoo work can be very exciting and challenging and we do deal with many different species, it is well worth remembering that whilst some days may be busy with tail to tail emergencies and clinical procedures, it can also be quite unpredictable. As nurses that work for ZSL we feel that this keeps the job interesting but this does mean that we can never guarantee what you will get to see during your placement and you may find it very different from General Practice. "The veterinary nurse work experience at ZSL has been the most amazing opportunity to experience a side of nursing that I have always been interested in and passionate about. Not only was I able to feel a part of the team, but I was also able to have all of my questions about the role of a veterinary nurse in the zoo answered. "All staff at the veterinary department are welcoming, approachable, and knowledgeable about a range of things, from nursing care of specific species, to the essential role of zoos in conservation efforts globally. It was so interesting to hear about their previous experiences, and I cannot quantify the amount I have learnt over the two weeks I spent with them. "I was able to assist with the care and medicating of some species housed at the veterinary department during my time at the zoo, helping with their husbandry and feeding, and was able to meet and make friends with Lola and Luigi - the golden headed lion tamarins, learning about their medical requirements. I found this really interesting as I have never been lucky enough to be involved in the nursing care of primates! "I was also lucky enough to assist with a general anaesthetic of a flamingo, which was a completely new aspect of nursing for me, having never been involved in avian anaesthesia! Overall, this experience has been one of the highlights of my veterinary nursing career, and I developed skills and knowledge that I will keep with me into the future. It has solidified my passion for zoo and wildlife veterinary nursing and driven me to learn more, and pursue a career in zoo or exotic pet nursing in the future. "My two weeks work experience placement within the Veterinary Department at ZSL London Zoo was one of the most rewarding opportunities in my career. "The staff are incredibly friendly and made the experience all the more valuable through their constant willingness to share their extensive experience and knowledge. The opportunity to work with a variety of different species was not only exciting, but it also allowed me to improve and expand my existing nursing skills and knowledge. "The experience was also more hands on than expected, and I was able to take an active role in a variety of procedures, from environmental hygiene and enrichment to assisting anaesthesia in exotic species. "I would definitely encourage Veterinary Nurses who are either interested in this field, or those who are looking to experience something outside of their general practice role, to apply for this placement as it has re-ignited my enthusiasm for my job and has exposed me to a career path that I hope to pursue in the future." Applications for Veterinary Nurse Work Experience 2019 placements have now closed. Applications for 2020 placements will open in February 2020.